Sunday January 1st, 2017 at 3pm sharp! 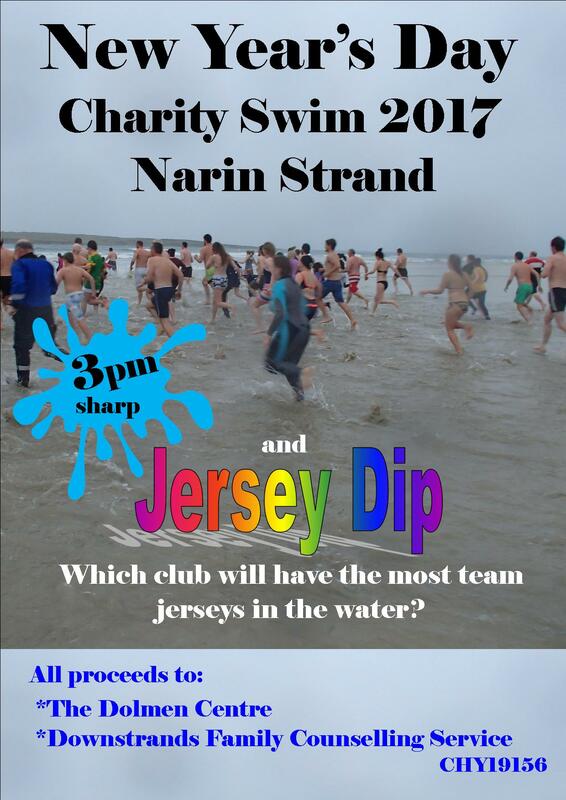 The New Year’s Day Swim promises to be one of the best ever this year, as the Dolmen Centre in conjunction with the Downstrands Family Resource Centre offer a unique take on this 31 year old event. They want to see who the most dedicated and fervent bunch of supporters and team players are. All you have to do is don your Team colours, and get yourself in the water (all of your body now, not just up to your ankles)!! Join us on the day and remember, it’s 3pm sharp!